3...2...1 launch! 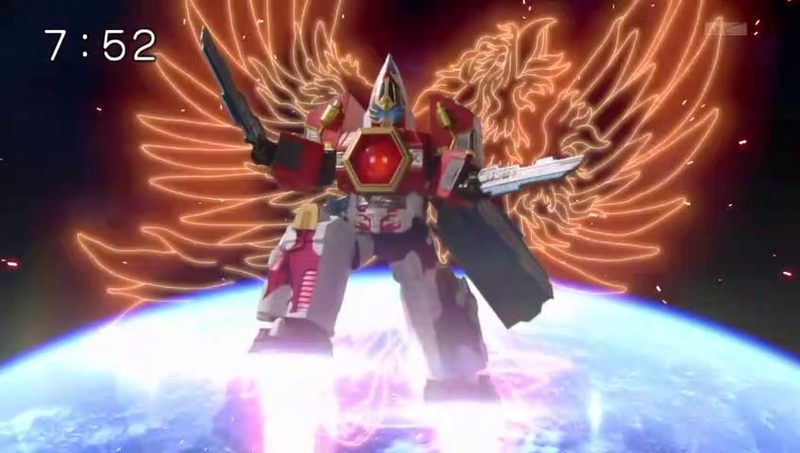 Check-out this week's action clips from the 22nd episode of Uchuu Sentai Kyuranger featuring the debut of Phoenix Soldier's mecha, the Gigant Phoenix! The orbital docking sequence reminds me of Captain Earth.